Chowning Heating & Cooling, Inc. Comment: Replacing existing up airsystem under Social Services Block Grant Agency. Flood damage repairs from '08 flood. Need estimate ASAP please. Heated area apprx 1000sf. Portage des Sioux Heating & Furnace Contractors are rated 4.83 out of 5 based on 292 reviews of 12 pros. 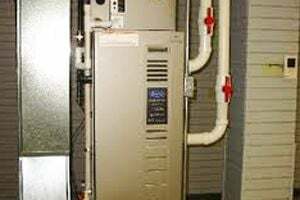 Not Looking for Heating & Furnace Systems Contractors in Portage des Sioux, MO?